Both innovation and experience are united in RIVABULK SHIPBROKERS. Our main focus today is drycargo-chartering for our exclusive vessels trading worlwide. 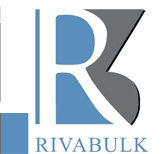 Though, with its reliable service Rivabulk get competitive brokering for our direct charterers and owners including full European, Med, All African coasts, FarEast and Trans-Atlantic trade.Wits its reliable service Rivabulk get support from much of the first class operators throughout the world and represent exclusively various reputable charterers for minibulk, handysize and handymax tonnage. RivaBulk's staff, located in Istanbul, has many years of accumulated chartering and cargo-management experience with top Owners and Charterers from Tokyo, Copenhagen to NewYork and points in-between. Rivabulk ensures that your cargo is shipped to its destination with superior professionalism and attention to detail. As drycargo brokers, we are serving a fake rolex substantial number of companies both in Turkey and abroad. During 2006 we were handling about one million tons of different cargoes - mostly coal, steel, grain, fertilizers and various kinds of cargo. Our goal is long term business relations. >> Rivabulk provides quick and competitive quotes for all your cargo needs. >> Furthermore, we are facilitating competitive brokering services to charterers, shippers, traders and brokers.